Build targets if no given tasks. build             Build targets if no given tasks. c, clean             Remove all binary and temporary files. r, run               Run the project target. i, install           Package and install the target binary files. create            Create a new project. u, uninstall         Uninstall the project binary files. q, require           Install and update required packages. g, global            Configure the global options for xmake. f, config            Configure the project. l, lua               Run the lua script. m, macro             Run the given macro. doxygen           Generate the doxygen document. project           Generate the project file. -y, --yes                              Input yes by default if need user confirm. -v, --verbose                          Print lots of verbose information. 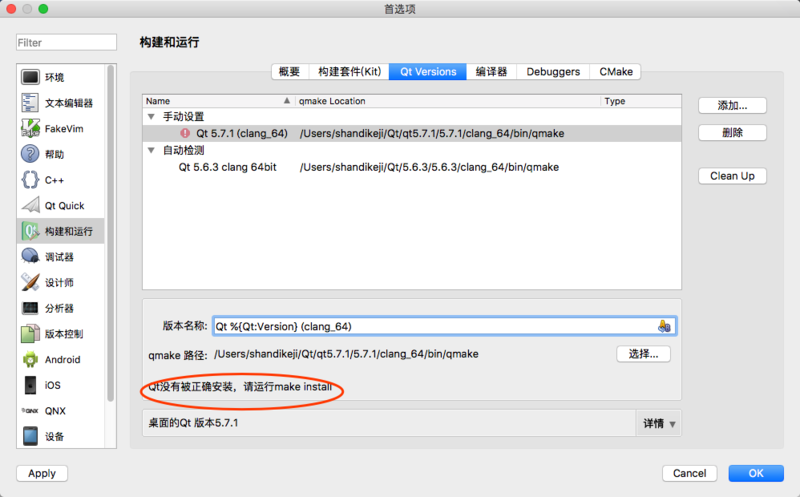 --root                             Allow to run xmake as root. --backtrace                        Print backtrace information for debugging. --profile                          Print performance data for debugging. --version                          Print the version number and exit. -h, --help                             Print this help message and exit. -F FILE, --file=FILE                   Read a given xmake.lua file. -P PROJECT, --project=PROJECT          Change to the given project directory. -b, --build                            Build target. This is default building mode and optional. -r, --rebuild                          Rebuild the target. -a, --all                              Build all targets. -j JOBS, --jobs=JOBS                   Specifies the number of jobs to build simultaneously. -w, --warning                          Enable the warnings output. 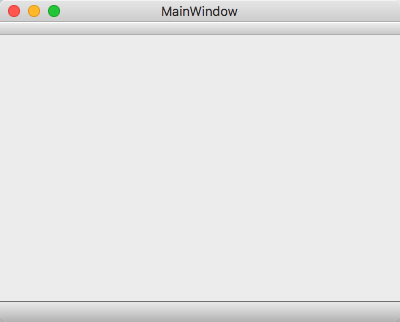 -t, --try                              Try building project using third-party buildsystem. target                                 Build the given target. 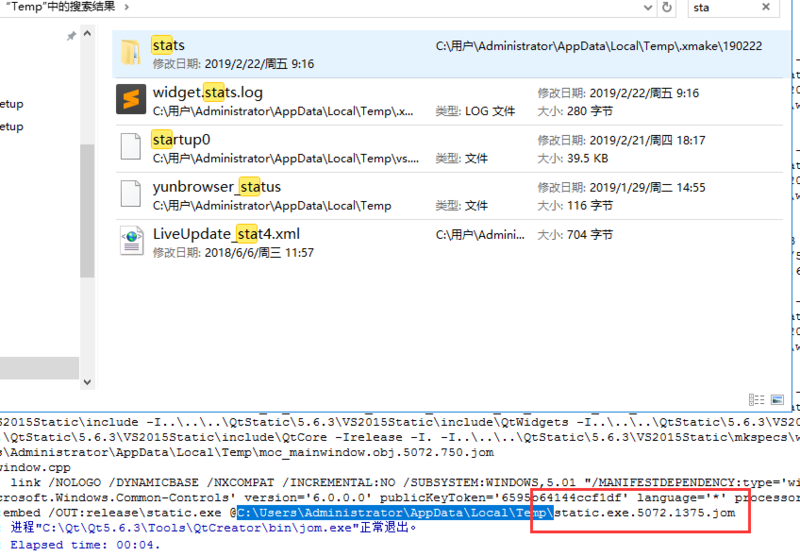 16:14:48: 正在启动 "D:\QtStatic\5.6.3\VS2015Static\bin\qmake.exe" D:\LING\Qt\static\static.pro -r -spec win32-msvc2015 "CONFIG+=release"
I followed your steps and looked up the environmental variable. 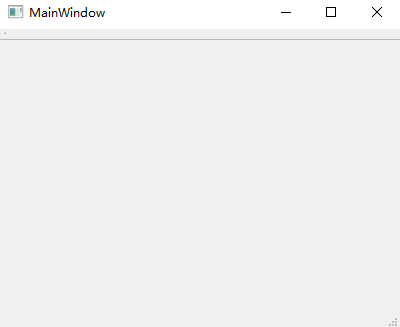 It turns out that the %Qt_Plugin_path% was indeed set by a certain program (numerical model) which I had installed. I deleted the variable and rebooted the system. As a result all the programs were functioning again without errors. Considered this solved. Thanks a lot!